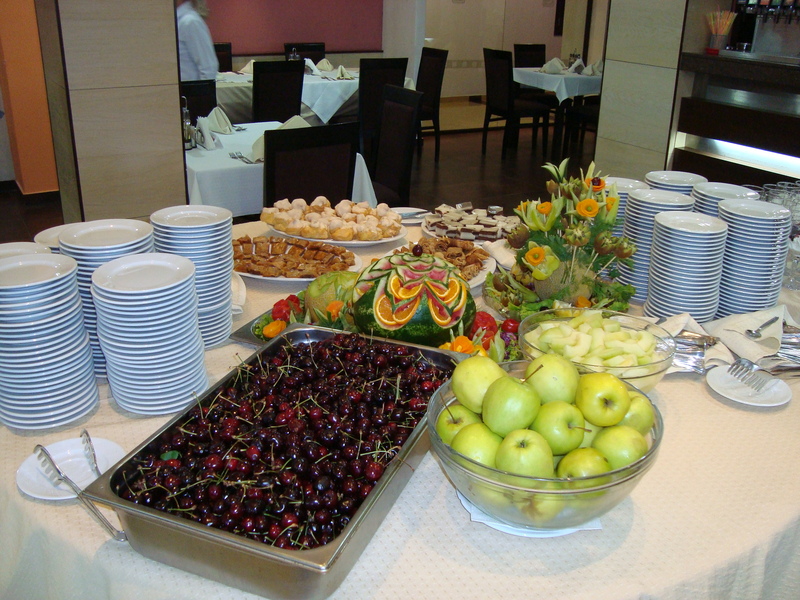 Hotel “Casablanca” offers You a wide variety of Restaurants and Bars. Our collection includes a spacious Main Restaurant, a cozy Lobby Bar and a charming Pool-Bar. In each of our restaurant you will have the very fresh and tasty food that you can find and the coldest and most refreshing drinks of the day. Our bartenders and waiters will be pleased to fulfill all your desires so that Your holiday will be truly unforgettable and pleasant. The restaurant of Hotel “Casablanca” is with capacity of 250 seats, 150 in the grand hall of the restaurant and 100 – in the garden with peaceful atmosphere. Our lobby bar offers wide range of fresh drinks and gives you excellent mood arrange with modern interior. Our cozy lobby bar is an excellent place for socializing.